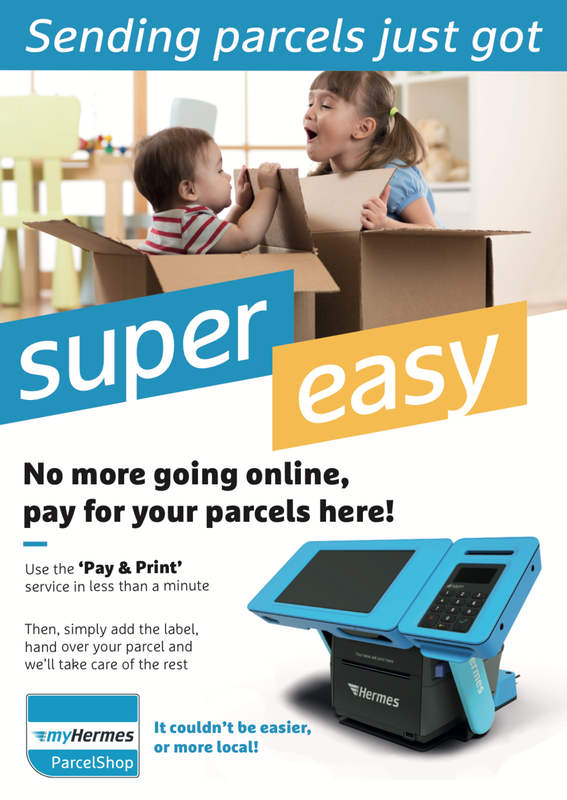 I worked closely with the marketing team at myHermes/Hermes UK over the past year. I have the opportunity to work on some exiting marketing strategies and events. During my time woking with MyHermes, we gradually introduced a flat logo that used two o three colours, It didn't 're-define' the brand just politely brought the brand into 2017. There was also a large shift to merge both the myHermes and ParcelShop brand together and combine as a service for the Hermes brand. This made the process and service system much clearer to the public and eliminated confusion 'Hermes vs myHermes'. This transition period lasted 6 months to year and Hermes Germany are still coming to terms with it. I produced a range of online digital adverts promoting the myHermes brand, services and products for both B2B & B2C audience. 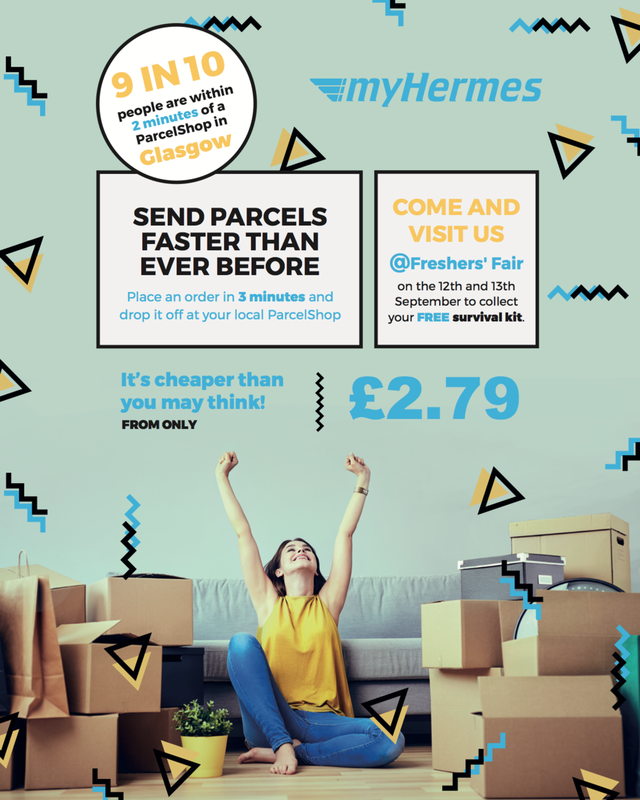 These adverts were focused to Glasgow and Edinburgh University students (B2C).myHermes needed to attract te attentio of a much younger audience than what they were use to. The ads needed to be memorable, fit in with the surrounding platform/ enviroment and still connect with the myHermes brand. We had a huge response to these banners and achieved the highest click through rate for a myHermes Spotify ad to date.